What no one ever admits is that we store our children in buildings where they are unprotected but tell them they are in a safe place. Until we are ready to protect our children like we protect our legislators, Congress, governmental buildings, etc. The killing will not stop. We are foolish to blame guns on putting our most vulnerable citizens in the most vulnerable place and expect them to be safe from predators. It is absolutely stupid! During High Holy Days we have armed security but the day care and religious school are completely unprotected. It is completely illogical. As for the 2nd Amendment, you obviously do not understand the purpose. Yes, the world has changed. When written, the weapons used by our military were no better than what civilians had. Today, civilians are already at a disadvantage. There are many countries over the last hundred years that have had to deal with tyrannical governments. What makes you think it could never happen here? 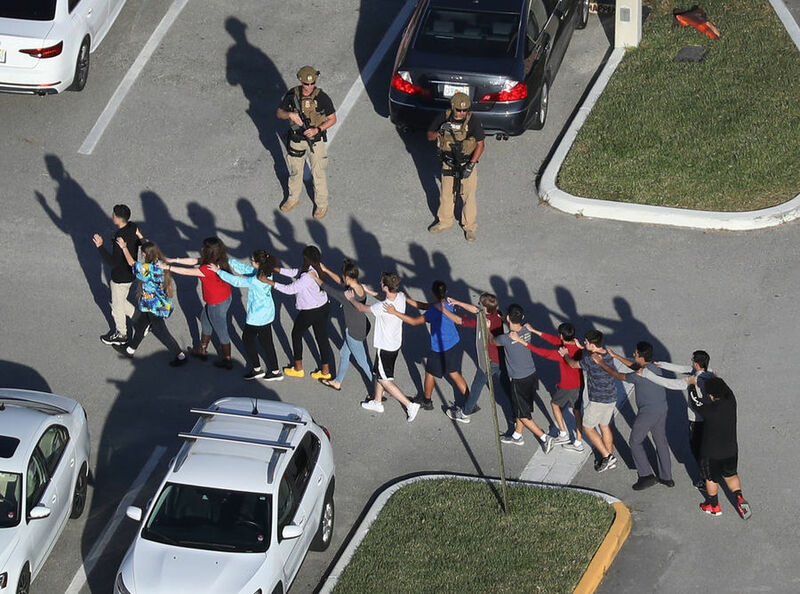 Please explain why in this country children are not safe in their schools when in so many other countries they are – and not because of the schools being mini-fortresses. You clearly do not understand that there needs to be some kind of gun regulations/background checks or way to keep the wrong people from getting weapons. There is a range of possibilities that do not have to impinge on the rights of responsible gun owners. You clearly do not understand that if our country has a culture where we have to have armed guards for the pre-school or the religious school, then we have a very sick culture. As an American history major, I would argue that I understand the 2nd amendment far more than you and other NRA supporters do. And by the way, we are living with a government (president) now, who is borderline tyrannical and the way to oppose is through political opposition, not weapons.